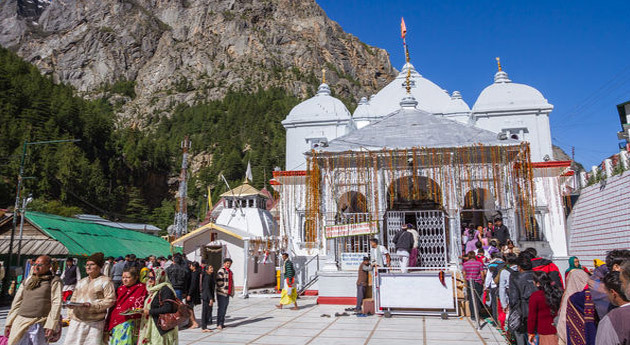 ﻿	Gangotri Yamunotri Tour Package – Do Dham Yatra in Uttarakhand. Do Dham Yatra is a religious odyssey to two famous Hindu pilgrim sites in Uttarakhand- Gangotri and Yamunotri. Gangotri and Yamunotri are the seat of river goddesses - Ganga and Yamuna respectively. While Ganga, which flows here in the form of Bhagirathi, descend on earth to relive the souls of 60,000 sons of King Sagara, Yamuna, the sister of demigod Yama, saves people from dying a painful death who bathes in her water. The 6 nights and 7 days Do Dham Yatra tour will take pilgrims on a whirlwind tour of these two pilgrimage sites for answering the higher calling within you. The embarkation point of Do Dham Yatra (Gangotri and Yamunotri) is airport/railway station in New Delhi. Board flight/ train to Haridwar- the gateway of Do Dham Yatra. Post your arrival in Haridwar, partake in evening Ganga aarti at famous Har ki Pauri. Post evening aarti, our tour representative will assist you in smooth transfer to the hotel. On reaching hotel, our representative will give briefing about the holy yatra. Overnight stay and dinner is scheduled in the hotel. Route Remarks – En-route the train will halt in Meerut where you can purchase refreshments and food items. Highlight of the Day – Evening Arti at Har Ki Paudi. 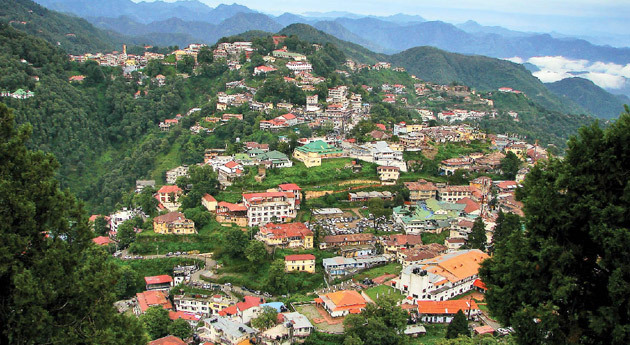 Mussoorie – On the outskirts of Mussoorie, away from summer hill station rush, En-route stopover for refreshments & washroom. Post breakfast, head straight to Yamunotri. The holy town is 70 kilometers away from Chami and takes 3 hours to reach. Apart from Yamunotri temple dedicated to goddess Yamuna, Surya Kund is also a famous sight. Surya Kund is a hot thermal spring wherein pilgrims cook rice and take home as "Prasad". There is a place called 'Divya Shila' where pooja can be offered, after bathing in Jamunabai Kund and paying reverence in the feet of river goddess Yamuna, before returning to Chami. Stay overnight in Chami. 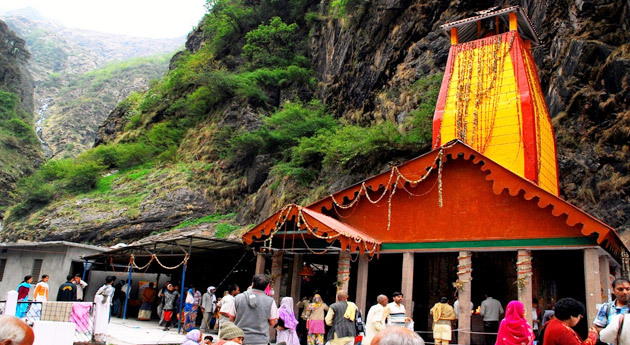 Yamunotri, the point of commencement for Char Dham Yatra: Yamunotri temple is seat of river Goddess Yamuna. Yamunotri is the source of Holy River Yamuna originating from the Champasar Glacier, situated on the Kalind Mountain. The route of Champasar glacier is extremely difficult and therefore pilgrims offer Pooja at the temple itself. It is believed that sage Asit Muni used to reside in Yamunotri. Surya Kund: In the vicinity of the temple, a number of thermal springs are situated that flows into numerous pools. Surya Kund is the most important of all. Divya Shila: It is a rock pillar worshipped by pilgrims before entering the temple. Post breakfast, set out on a local sightseeing tour of Lakhamandal. Later, hit the road for Uttarkashi via Radi. Evening is free for leisure and exploring local attractions. Dinner and overnight stay is scheduled in Uttarkashi. Route Remark – En-route Dharasu is an ideal halt for tea break. On the contrary, there is no washroom facility on the way. Today's Sight – Lakhamandal - The place is 10 kilometers away from Chami and bears relation to Mahabharata times. 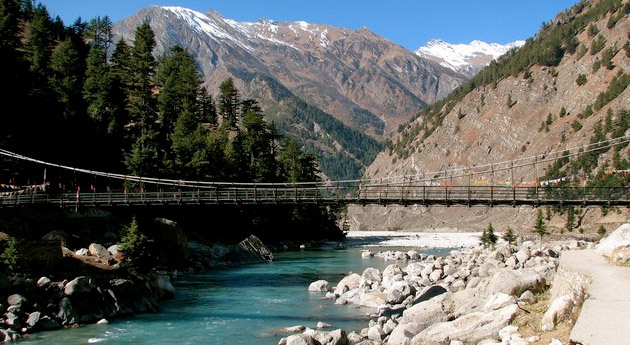 Uttarkashi - Snuggled between two rivers- Varuna and Ashi, whose water flows into river Bhagirathi from either side of the town, Uttarkashi is a picturesque town situated at an elevation of 1588 meters from sea. 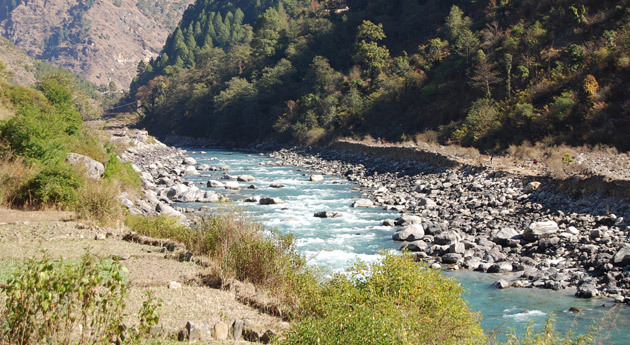 The geographical outline of Uttarkashi is similar to Kashi and Varanasi with same kind of temples and Ghats. Vishwanath temple, dedicated to Lord Shiva, is the major temple in this place. Annapurna temple and Bhairav temple, located in the Chowk area, are two other important temples in Uttarkashi. There is a mythical belief that in the second millennium of Kaliyug, Kashi will be replaced by Uttarkashi. Post tea/coffee break in the morning, leave on road to Gangotri. On the way, halt at Gangnani, a hot water spring. After offering prayers in Gangotri temple, make stopover for lunch at the place of your choice. Post lunch, head back to Uttarkashi. En-route visit Gangnani. Stay overnight in Uttarkashi. Route Remarks – Maggie & tea/coffee are the popular refreshments offered in Gangnani, a famous hot water spring. Gangnani: There is a hot water spring at Gangnani, where pilgrims can take bath in the warm waters of Rishi Kund. Also there is a temple, close to the Kund, dedicated to Muni Parashar, the father of Ved Vyas. Post breakfast in the morning, leave on road to Haridwar. Stay overnight in Haridwar. Post breakfast in the morning, leave on road to Delhi. En-route have your packed lunch and drop at Delhi.